Amsterdam is such a delightful city I feel guilty for having left it so long before visiting it. 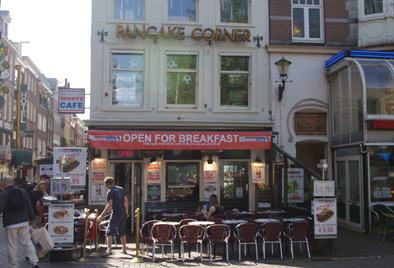 We have found an excellent café for breakfast supplying delicious coffee and croissants. Once fortified, we set off on foot to explore the city centre. 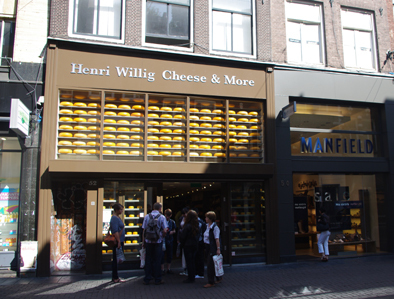 This shop said cheese and cried out to be photographed. 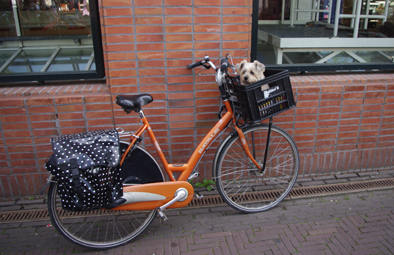 Even dogs travel by bicycle. Like all historic cities there is so much going on around there is all sorts to see. 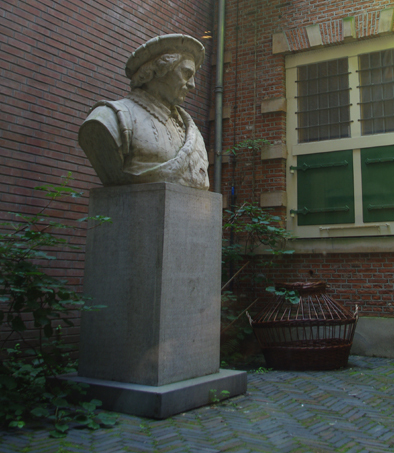 The Dutch are famed for their artist and Rembrandt’s house is well set out and well worth the visit. We returned to the hotel late in the afternoon. Then that evening dined again at the breakfast café where I ate a large portion of spare ribs and French fries washed down with a pint of Heineken. It was deliciously unhealthy but I felt it was okay to indulge in a one off taste of decadence.